At Arctic Zero, we love ice cream. We’ve always loved ice cream. But we hated the fact that everyone who loves it pays for it in the worst possible way: compromising their health. Nothing else on the market came close to offering both great taste and demonstrated health benefits, so we decided to invent a great tasting dessert that did. Originally developed as a soft serve, Arctic Zero began offering pints in stores by early 2009 as a result of sustained consumer demand. Many describe it as a “super dessert” – a product that provides top nutrition, posses health benefits, has no drawbacks, and appeals to just about everyone. Many fans describe it as their favorite late night sweet treat because it doesn’t ruin a day of healthy eating or sit heavy making you feel sluggish, making it that much more delicious. 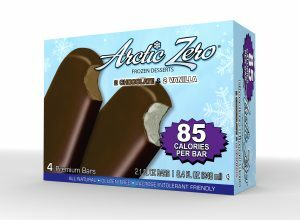 Arctic Zero sought from its inception to offer families across America a low calorie dessert that would allow them to indulge in their frozen sweet tooth cravings without sacrificing a healthy lifestyle. 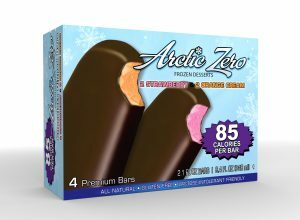 As health issues rise across the country such as diabetes and obesity, Arctic Zero confronts this trend by providing a product that displaces the myth that a dessert must be high in fat and calories in order to taste good. We encourage fans to explore all the flavors and find your favorite. We hope you enjoy as much as we do!